Clients may be relaxed when cleaning and moisturizing the waxing area, but as soon as wax is applied to the area, tension grows. Our Clean + Easy wax rollers and roll-on wax cartridges are the perfect tools to help you smoothly apply wax so clients remain calm.Proper wax application involves having the right tools in place to keep clients at ease, even when removing hair. Our selection offers comfort for a gentle, clean and even application, so clients are relaxed as you apply the wax with a Clean + Easy hair removal wax roller. Roll-on wax applicators are more efficient than traditional methods due to their ability to conserve wax during the application process. Roll-on waxes make it easier to apply a thin layer on clients in one swift motion that avoids wasting even a drop of wax. Clean + Easy all-purpose hair removal wax uses naturally sourced ingredients like beeswax and chamomile to provide skin with the nourishment it needs to avoid post-wax skin irritation. 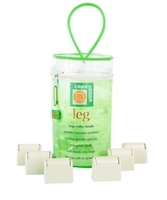 Shop from our line of Clean + Easy products to begin offering clients a seamless wax process. 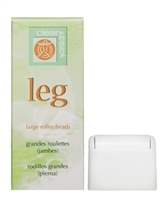 Large roller heads are designed for larger areas of the legs, shoulders, back, chest and arms. For use on legs, shoulders, arms, back and chest. An all-purpose wax, perfect for facial and body waxing.